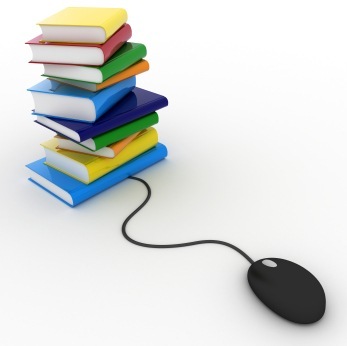 Bookstore Guide: eBooks – A Risk or an Opportunity? eBooks – A Risk or an Opportunity? 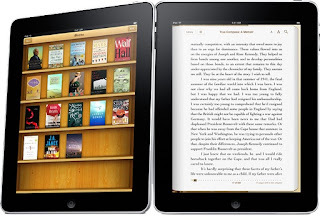 We are more than happy to present you with an article on a topic that can without any doubts be labeled as one of the factors reshaping the future of the publishing industry - the impact of eBooks. 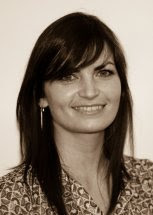 Abi Rhodes, who has previously contributed with an article entitled "Independent Booksellers: What Can Be Done to Help? ", profits from her long experience in bookselling, publishing and marketing, and offers her perspective on this hotly debated issue. The article is actually a part of the lecture Abi gave at an Independent Book Fair in Leicester and Birmingham and it addresses the major questions that the emergence of eBooks has brought along. The first part of the lecture answers questions about the profile of eBook readers, eBooks market penetration, as well as about the possibilities of coexistence between traditional printed books and eBooks. Research conducted in the US found that eBooks were being bought by adults aged between 35-54; whilst in the UK PricewaterhouseCoopers’ survey suggested electronic media is more popular with consumers aged 30-39. What neither of these surveys mentions is that eBooks are also great for those with impaired eyesight because the text can be increased with ease and the background colour (on tablets) can be changed from harsh white to sepia tones. Whoever uses these devices, it is clear that technology is advancing with pace. As more people have everyday access to the internet, use smartphones and have at least considered buying an eReader, it is becoming clearer that consumers are now more open to the new technological trends. The BBC reported, at the end of January this year, that Amazon’s customers had downloaded more eBooks in the US than paperbacks – for every 100 paperbacks Amazon sold it also sold 115 eBooks. However, Amazon did stress to the BBC that their sales of paperbacks were also growing. As a side note, I was interested to discover that the judges of this year’s Man Booker prize have been sent electronic book readers for the first time to help them read the 100 or more novels they will be sent. According to a report by the BBC, the publishers have been asked to send their entries in both physical and electronic format. With the advent of new eBook formats and new, cheaper devices upon which to read them it seems the book trade is once again trying to incorporate eBooks. Although, Amazon has indicated their sales of eBooks were higher than paperbacks and hardbacks at the end of 2010, these sales still only accounted for 7% of overall sales in the entire US book market and only 0.5% in the UK. The market, it seems, is still emerging slowly. According to a recent report by PricewaterhouseCoopers (Turning the Page: The Future of eBooks) it will still take a few years for eBooks to start taking a large share of the current book market, they claim we are at the beginning of a potential digital breakthrough. However, the eBook industry has been around since 2000 and back then PwC’s estimated that this new section of the book trade would take a 17% share of the book market by 2004! This hasn’t happened so what is the difference between then and now? 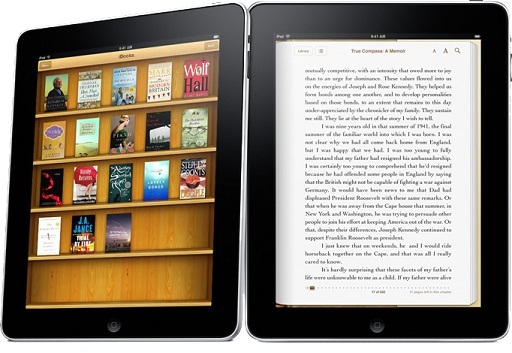 Well, PwC believe the reason for their latest, and more conservative projected development of the eBook industry is both the recent advancements in new, easier-to-read, and inexpensive eReaders and the pervasive nature of the Internet. eInk allows the reader to have a more traditional experience whilst reading an eBook on a hand-held device. This is coupled with the ease of access to digital bookshops via the devices themselves and the increased use of online shopping. Today’s consumers are increasingly more tech savvy with nearly every other person owning a smartphone and possessing wireless broadband internet connections at home. It means more people are readily accepting the idea of reading information from a screen whilst feeling comfortable that shopping online is secure and fast. This feeds the eBook market nicely. But does this mean there will be more readers – a new generation of readers – or simply that existing readers will move toward eBooks and away from traditions editions? Nearly all experts suggest there will be an increase of readers thanks to the accessibility of eBooks but that existing, devoted readers will continue to enjoy and perhaps prefer the feel of a physical book in their hands. The book is still an object of prestige, used to express the owner’s tastes and education and they also provide a certain ornamental feature to any room. They are popular as gifts for birthdays, holidays and special occasions and the touch of a book, the smell of a book is very hard to capture – if not impossible to reproduce – in a digital format! So, whilst it seems the traditional book format is not about to die out it might be required to start living alongside the new digital editions. Some of the larger publishing houses have decided to begin publishing new/future titles as both paperback AND eBook, thereby providing their customers with a choice to purchase one or the other or indeed both. It is possible they might experience a decline in physical copy sales but this might result in the rise of eBook sales, which, as I will explain in the next part, have lower production costs and in some instances higher revenues.